It’s a bit of an understatement to say that Cave Story has been released on a lot of platforms; Cave Story+ on the Switch is just the latest in a long line. Over the years, various iterations have tweaked and iterated on the original art style, and the new release did that yet again and offered a marginally different look to the classic graphics. Even so, some no doubt preferred the original look, and so Nicalis has put out a free update to cater to those fans. What do you think? 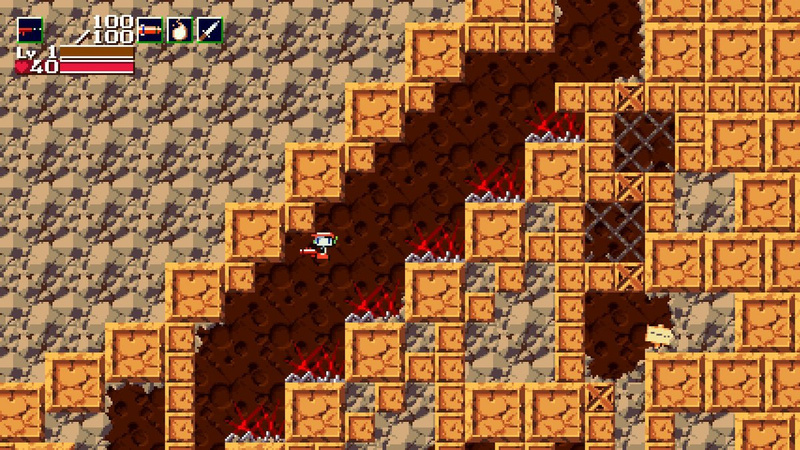 How have you been liking Cave Story+? What else do you think they could add to it? Share your thoughts in the comments below. I'm really hyped about 2 player mode. So a good game! Very like the 3d version on 3ds. Update is always great !! Will wait for multiplayer and a sale, as I already have this for 3DS. @GrailUK I highly doubt it'll come out in Europe. 365games however has the US Version on sale for approx £25 and this includes the full colour manual and sample OST CD. @SanderEvers Do need to mess about with creating an American account for updates etc? 'Free' only because charging so soon after releasing said game - at an overinflated price imo - would have been an insult, surely. I'll look forward to trying this out on my second playthrough. It makes sense to have the original and new graphics as there was already options for the sound. Been wondering if to get this, but as so far no release in Europe.... I thought this console was not region locked? So why the hold up for games? I hope that co-op will be released for the PC and Wii versions of Cave Story as well! I take it the update is only available in America right now? The update doesn't seem to be available for me. Nicalis did mention on Twitter that despite submitting it to NOE before NOA, it was still waiting for approval by NOE. It isn't region locked, which is great. It doesn't necessarily mean publishers are any more likely to release European versions but it means we don't have to wait for them to do so. So far I've got physical games from UK and USA, and eshop games from UK, USA and Japan. @electrolite77 Thanks for that. 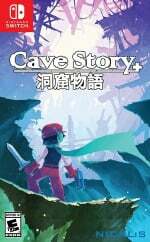 I have done some snooping and it seems Head Up games are distributing Cave Story +, so I guess first things first and wait patiently for Isaac to be released. @electrolite77 That's a great price, pretty much the same amount as ordering direct from Amazon.com with shipping at the current exchange rate. @GrailUK They indeed are but I'm not sure if they will release the physical version anytime soon... I bet that since Isaac took 6 months to be released here in Europe, Cave Story is going to take around the same time so perhaps only in late November, December or in worst case January 2018. As other mentioned above I think your best bet is to buy from the link above and enjoy it, that's what I did anyways since I'm tired of waiting. I'm really glad they patched this in. I love the new visuals and am unlikely to play with the classic style, but just knowing it's there makes me happy. Now bring on local co-op, I'm pretty keen to give that a go. The update still isn't available on the UK eShop! I'm in the Nederlands, didn't check the eshop, but when I played the game tonight I noticed I could switch to classic graphics. I didn't even agree to do an update (or maybe I did by accident), so it seems it's done it automatically! Saw this last night when I fired up the game. I was wondering what had been updated. Great game. Yeah I fired up the game and really don't notice a difference but OK. Still a fun game. Can we get an update that gives us the 3DS version models as a skin? No need for 3D mode, of course, but those models are clearly the best version. I wonder why they did not charge us for this update?? It's the same for digital games as well. I don't know about downloading updates though. I have a physical US copy of this but until the update is on the UK store I can't confirm either way. Plugged in my US Cart, checked for updates and it downloaded the update. Played it with my UK Account and the Original graphics mode is there. Not sure how much that helps though, considering I have a US Account on my Switch. TBH setting up accounts for other territories is really easy and quick anyway. I think the update was automatic and it should say ver.1.1. You have to go to Game Options and select Graphics: Classic if you want that. The update for the graphics appears to be minimal but still fun. Can't wait for the update for co-op that will be sweet.